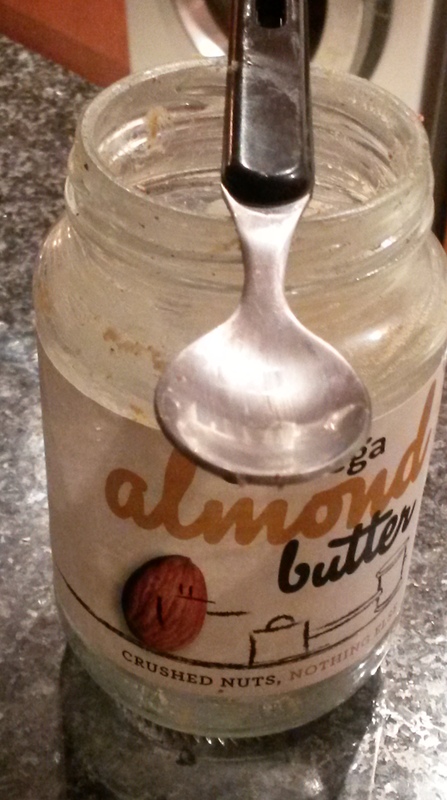 …is all that’s left of the almond butter I opened… on Friday. This is why I shouldn’t buy things like this! I have absolutely no self control. I love nut butters. LOVE. On SCD, particularly the early phases, there’s not much ‘naughty food’ to binge on. Not that nut butter is particularly naughty, but of course it is very high in calories and I suspect nut butters make me bloated. Nuts definitely don’t agree with everyone, and in fact they’re known to cause problems for people with damaged guts. Nuts are very hard to digest, and they can be bloating. They can also cause diarrhoea and/or constipation. It’s recommended that you don’t introduce nuts (even nut milks and nut butters) until you’ve been symptom free for 3 months (for me, it’s going on 4 or 5 months). 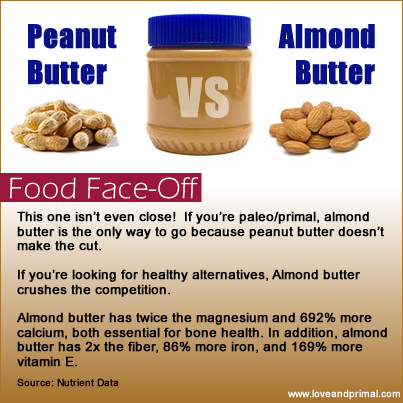 I tested almonds quite some time ago when I first made SCD yogurt on phase 2. The first time I made the yogurt, I used unstrained almond milk which meant it had lots of ground-up almonds in it, and that didn’t agree with me (lots of bloating). I used strained almond milk next, and I tolerated that a lot better (SCD yogurt recipe here). Since then, over the weeks, I’ve introduced coconut milk, cashew butter and macadamia butter. They don’t wreak havoc on my system and I tolerate them well in small amounts, but I doubt I’m doing my body any favours by clocking a jar in 72 hours! How well do you tolerate nuts? Any tips or advice? And HOW can I stop eating it like a crazy person?! ?